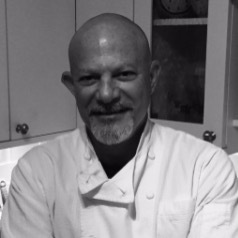 Chef Andrew Berman learned his culinary skills from his mother, and has been cooking professionally for over 40 years. He began his culinary career at La Cote Basque in NYC, and he was the chef of Cafe Des Artistes in Key West for 17 years. He is currently co-owner of Kojin Noodle Bar.